On day four of the first Test in Antigua, Ian Bishop sat in a lonely room adjoining the television commentary box. Across the window, his gaze was on the West Indies’ batting line-up as they crashed in the second innings to surrender the match to India by an innings and 92 runs. He wasn’t really mourning the heavy loss. 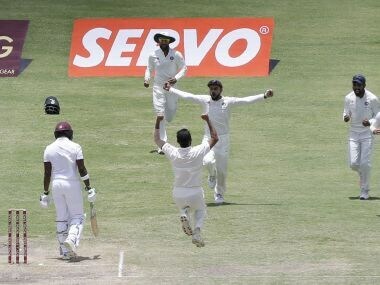 Many across the Caribbean have long lost any interest in Test cricket. Thousands others have come to accept the reality. Bishop belongs to the latter category. “This is a team that is just so young, they are still trying to figure out what they want to do. They are trying to find their identity. They are ranked eighth and playing a team currently ranked second in Test cricket. 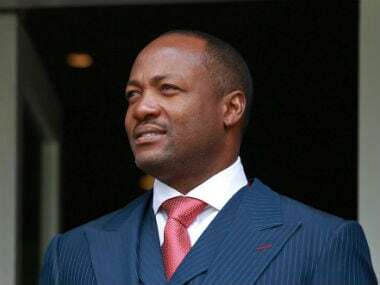 The difference is obvious, and I will not want to judge this West Indies’ team after one match,” he said, in a freewheeling conversation thereafter. This first Test was a woeful tale of competitive mismatch, from batting to bowling. Unusually though, this was revealed at the time of the toss itself. One captain picked five bowlers, allowing him the luxury of different options to attack as per different situations. The other picked seven full-time batsmen, two part-time all-rounders and only two other front-line bowlers. From that moment onwards, only one team was primed to pick 20 wickets. It is not to say that there weren’t options available to them. 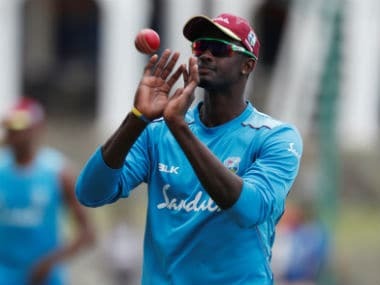 Miguel Cummins could have been handed his Test debut, but skipper Jason Holder chose a defensive team. Furthermore, the talk of inexperience is a valid one, albeit only in terms of the number of Tests played against each player’s name. Beyond a certain limit, instinct needs to take over. Let it be said here that none of these West Indies’ players have reached the Test level without being part of a competitive First-Class structure. Until you play Test cricket afterwards, the enhancement of batting and bowling skills will be hindered, and it is something the hosts truly suffer from. But the element of fielding cannot be under-estimated at any level of the game. From that perspective, the price of runs whether scored between wickets or in boundaries is the same in First-Class or Test cricket, or any other form of the game for that matter. Sample this. When Ravichandran Ashwin came out to bat, India were in a spot of bother having lost their top four batsmen. Yet, Holder didn’t presume to bring in the fielders and make it difficult for Ashwin to pierce the gaps, and treated him with all the respect of a number six batsman. Moreover, through his double ton, Virat Kohli had only one troublesome moment, when Carlos Brathwaite was getting the ball to move away from him. Twice, the batsman edged the ball past gully, and on both occasions, he was able to take a single and move off strike. When he faced Brathwaite a third over running, the fielder at deep backward point was not brought in to save that single and keep Kohli on strike, or even in two minds. For the two days India batted, there was only one passage of play when the West Indies looked to make an impression with their fielding. It was when, early into his knock, Kohli was facing Devendra Bishoo. There was a strict offside cordon, with fielders at point, short cover, extra-cover and mid-off stopping the boundary. Kohli adapted masterfully, playing square thereafter and Holder had no response, no different setting to stem the flow of runs. He couldn’t inspire the fielders off his own bowling, let alone for others as captain. In contrast, the Indian skipper was on his toes throughout. Almost as if it was his personal mission to help his bowlers wrap up the West Indies’ first innings as quickly as possible, keep them fresh enough to have a go after enforcing the follow-on. His ploy to trap Kraigg Brathwaite was a thing of beauty. 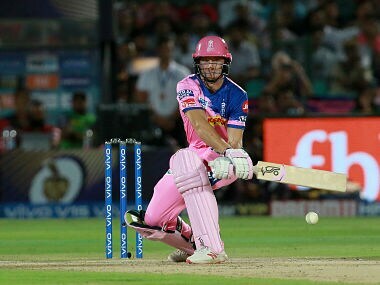 Batting on 74, the opener was choked by a leg-side cordon of two short midwicket fielders, square leg, mid-on and a catching forward short leg. As Umesh Yadav bowled short, he couldn’t risk pulling and instead ended up edging a rising delivery to the keeper. This anticipation of a batsman’s scoring strengths and ploy of forcing him into an error by drying up the runs, this energy was the biggest element missing from Holder and his teammates in Antigua. You cannot blame them for inexperience, but at what point does that border on sloppiness? 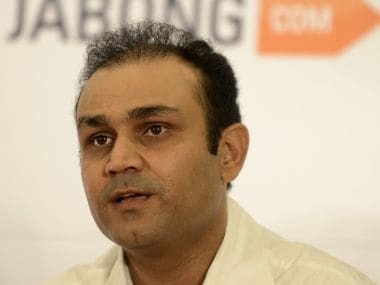 “Inexperience can lead to reluctance in the way you pick and bowl your bowlers, and I think Jason was a little reticent to go on the attack for that reason. Obviously, bowlers like Ishant Sharma, Umesh and Ashwin, they are highly experienced and they know how to bowl to Virat’s aggressive captaincy demands. Perhaps, Jason needs to speak up a bit, be more aggressive like Virat,” opined Bishop. Another school of thought offered here by the cricketer-turned-commentator, is for the Sabina Park groundsmen to provide a grassy and better bowling surface and embolden the West Indies’ attack. It would drive them to ask questions of the mighty Indian batting line-up, and maybe provide the stimulus they need to push harder. Maybe, it would even make demands of their captain in terms of selection as well as field placements. Gone are the days when such a lush pitch would be home advantage for a bowling attack hailing from the Caribbean, particularly given how India’s attack measure up against the hosts’ inherent batting weaknesses. This, though, isn’t about what the West Indies’ batsmen can or cannot do. The question here is if they can even hope to recover, or even redevelop, a lost facet of their game for the remainder of this Test series. Can they, as a collective unit, aspire to bridge the massive gulf to their opponents’ skills in this seemingly dull and one-sided affair?